Model: CHEVY GEO PRIZM. CHEVROLET GEO PRIZM 98-00. POWER STEERING PUMP/MOTOR. Part Grade Abbreviations. cc = Credit Card size units. C = Greater than 200k miles. B = Greater than 60k miles and less than or equal to 200k miles but greater than 15k miles per year. Suzuki Sidekick 1989-1995. 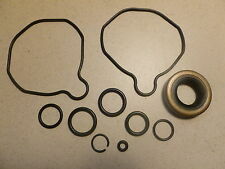 Power Steering Pump 10 Piece Seal Kit. Suzuki X-90 " ". This kit is an affordable solution to a common problem. Model: PRIZM. PRIZM 2001 -2002. also fits the following models. 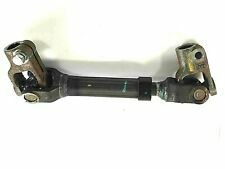 Steering Shaft. Model: CHEVY SPARK. Problems are usually misunderstandings and with a little patience can be easily resolved. Local pickup options are also available. Model: CHEVY SPARK. Steering Shaft. Problems are usually misunderstandings and with a little patience can be easily resolved. Local pickup options are also available. PRIZM 01-02. C Grade - The third level quality part. B Grade - The second level quality part. It is of average miles and normal condition for its age. A Grade - The highest quality part. It is of low miles and/or exceptional condition for its age. Model: CHEVY GEO PRIZM. CHEVROLET GEO PRIZM 01-02. Power Steering Pump/motor. Part Grade Abbreviations. cc = Credit Card size units. C = Greater than 200k miles. B = Greater than 60k miles and less than or equal to 200k miles but greater than 15k miles per year. Power Steering Pump/motor. SUNRUNNER 99 2.0L. This is the code designated by the vehicle manufacturer as to the color, style, and material of the vehicle's interior. If you do not know where to locate your code, we can assist you with that. FREE SHIPPING!!! 90 DAY RETURNS!!!! 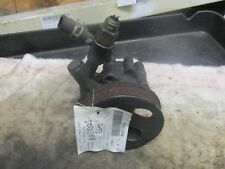 Quality used Power Steering Pump. 90 day warranty! Power Steering Pump/motor. Part Grade Abbreviations. cc = Credit Card size units. C = Greater than 200k miles. B = Greater than 60k miles and less than or equal to 200k miles but greater than 15k miles per year. PRIZM 01-02. - The third level quality part. - The second level quality part. It is of average miles and normal condition for its age. - The highest quality part. It is of low miles and/or exceptional condition for its age.